On this episode of Wide Open Throttle, Frank Markus checks out the 2013 GMC Terrain and evaluates at how its speed, performance, and comfort stack up against the segment’s competition. 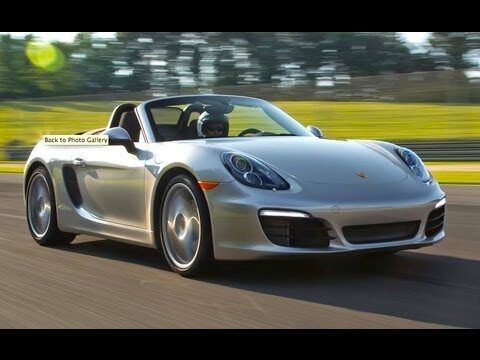 Mike Febbo hits the track with the 2013 Porsche Boxster S PDK, the completely redesigned third-generation model now equipped with (gasp!) electric power steering. And Jessi Lang brings you an inside look at Autostadt, the stunning Germany-based automotive museum that recently granted Porsche its own pavilion. 80% of the goodness of the Carrera GT at 25% of the cost. I am from Germany … and I am at the Autostadt twice a year to catch up new cars. It’s a pretty good place to spend time. If you can make it in July, the Autostadt hosts a water show for you, for free.